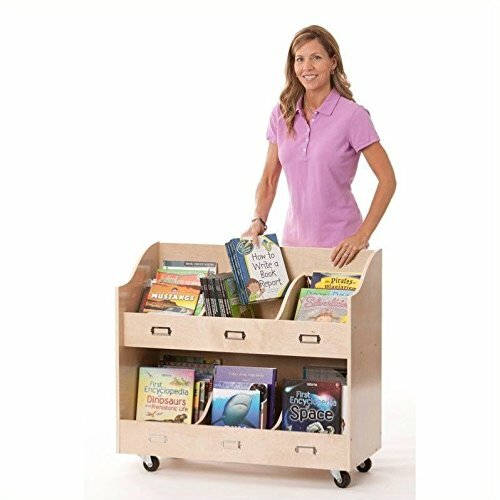 Perfect for classroom or library use, and easy transportation between rooms! Features birch plywood construction, heavy-duty casters, and handle cutouts. Easy to organize with angled top shelves, center divider and flat bottom shelf. Includes six metal-frame paper holders for labeling. Adult assembly required. 36"W x 16"D x 30"H.